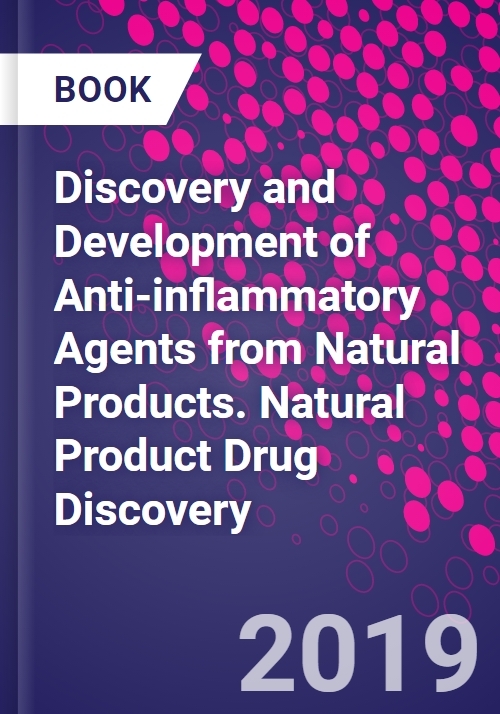 Discovery and Development of Anti-Inflammatory Agents from Natural Products, the latest volume in the Natural Product Drug Discovery series,presents cutting-edge research advances in the field of bioactive natural products and natural drug formulations, with this volume focusing on molecules of natural origin and their synthetic analogues that have the potential to act against the pathogens responsible for inflammatory diseases. All aspects of each are covered, including isolations and structure elucidations, in vitro and in vivo biological activity, synthetic optimization, investigations of pharmacodynamics and kinetics, and the structure-activity relationships of anti-inflammatory natural products. Written by active researchers and leading experts, this book brings together an overview of current discoveries and trends in this field. It will be a valuable resource for researchers working to discover promising leads for the development of pharmaceuticals in the prevention and treatment of anti-inflammatory diseases. Goutam Brahmachari is a professor of organic chemistry at Visva-Bharati, India, and teaches courses in organic chemistry, natural products chemistry, synthetic organic chemistry, and physical methods in organic chemistry. In addition to over 20 years of teaching and research experience, he is a Fellow of the Royal Society of Chemistry, a Who's Who in the World Listee, and a recipient of Academic Brilliance Award (2015) for Excellence in Research and the Dr. Kalam Best Teaching Faculty Award (2017). Prof. Brahmachari serves as journal referee, editor-in-chief, associate editor, guest editor, and Editorial Advisory Board Member for several international journals, book publishers, and research funding agencies. He has over 190 publications in the fields of organic and medicinal chemistry, including 22 books and over 40 book chapters, published by internationally reputed publishers.